It was 1971; we took our first chickens and first eggs in our hands. We have chosen to grow with great eagerness instead of greediness and look ahead all the time. We were ready to produce more eggs with 3 coops when we came to 1955. We have become a huge family with the thousands of hens – one more beautiful than the other – in Lake 1, Lake 2 and Lake 3 right after. We have done our utmost effort to keep the life pure and natural. 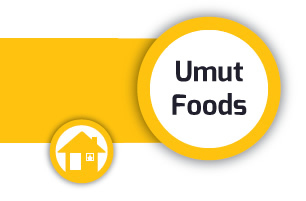 Accordingly, we have presented our natural egg Doğalım and organic egg flotty to your taste in 2008. We have done so in order to keep the beauty alive and protect it from any deterioration. We left our hens out of their coops, allowed them to scratch and settle as in their natural habitat. We have known that they would give us the best eggs in case we make them happy. So, we have named the egg we get from our cage-free coops as Green Ranch. With the years passing, we have diversified our products with new flottys for our customers who have different needs and seek different tastes. Flotty sports have joined our family for those who keep in training; flotty herbs for those who want aromatic flavors on their tables and flotty coco for those who are fond of brown eggs. Flotty organic chicken has taken place on the shelves in 2013. The taste of chicken you miss is on your tables with flotty organic chicken. We have brought you the untouched and fresh tastes of your childhood with flotty organic chicken which completely fed with organic feed and grown up in 71 days according to the nature.